Can a Criminal Get Away with Murder if He Cleans Up the Blood? 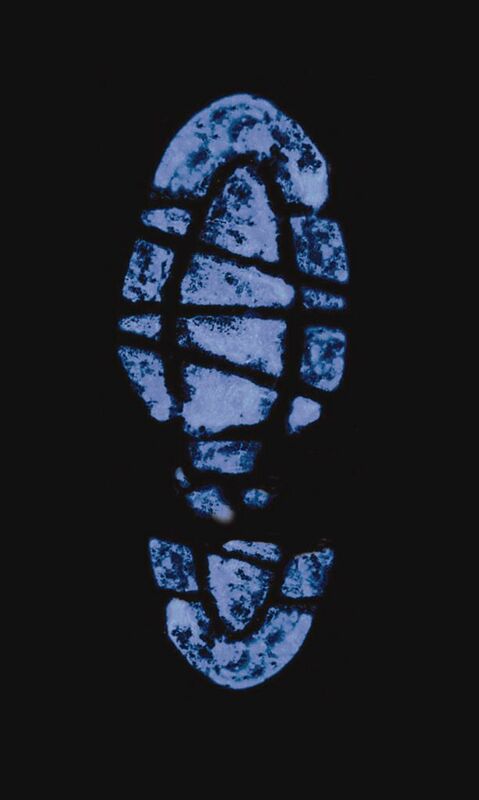 Many criminals try to clean up the blood left at a crime scene, but forensic scientists can still detect it using a luminol solution to find trace amounts. In this activity, your students perform the same techniques as real life forensic investigators to discover where simulated blood evidence may exist. Through this lab students’ will develop inference skills and reinforce the cross cutting concepts of cause and effect and pattern analysis. This activity allows students to explore NGSS Physical Science Disciplinary Core Idea PS1 (Matter and its Interactions). 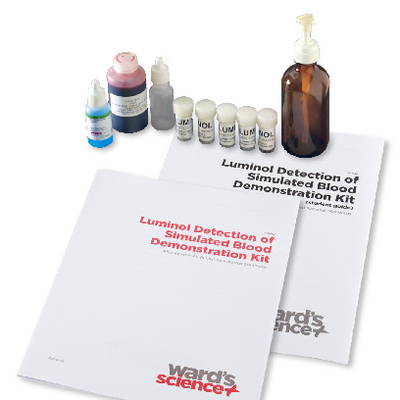 Ordering information: Includes Ward's® Simulated Blood for Blood Spatter, Copper Sulfate Solution, Dropping Bottles with tip and Cap, Powdered Luminol Vials, Spray bottle for Luminol Solution, and Teacher's Guide and Student Copymaster. Required but not provided: Distilled water and paper towels.